The Italian team's feat is accomplished. 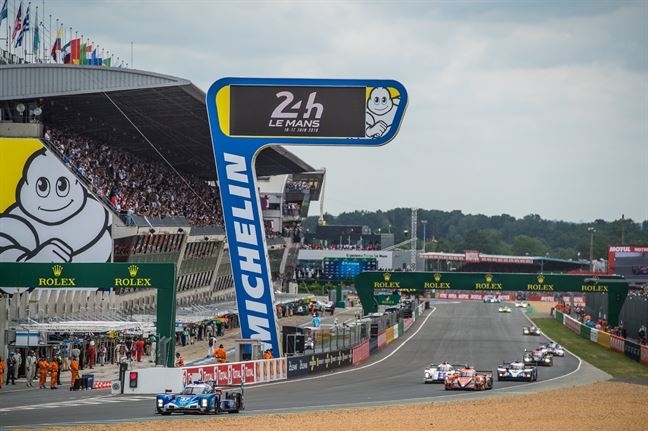 Lacorte, Sernagiotto and Nasr have crossed the finish line on the Dallara P217 LMP2 in a sharp comeback thanks to the never ending work of a reactive team which never failed despite a series of problems and unexpected events, professionally spending every energy and effort tirelessly since Thursday. Amadio: "An excellent demonstration of pride and professionalism! Well done everybody!" 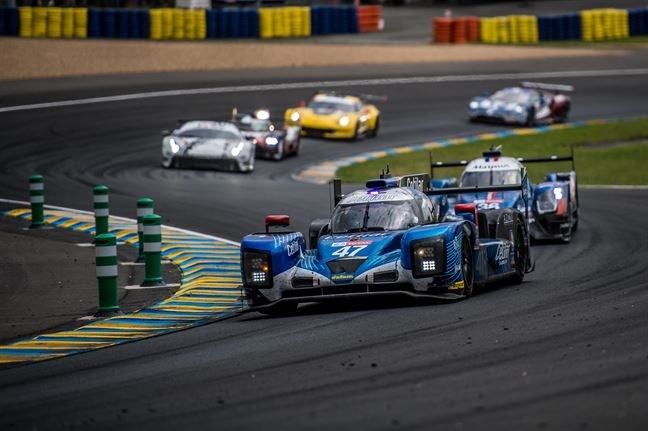 Cetilar Villorba Corse finished the 2018 Le Mans 24 Hours in a comeback. 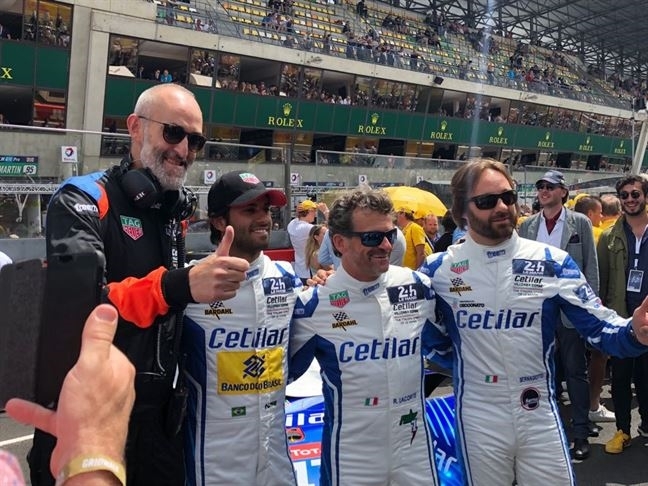 The end of the race has sealed the completion of a feat for the Italian team which allowed Roberto Lacorte, Giorgio Sernagiotto and Felipe Nasr to cross the finish line of the 86th edition of the most famous and selective endurance on the #47 Dallara P217. 22nd position overall and 13th in LMP2 for the Pisa-born, the Venetian and the Brazilian F.1 driver. A race characterized by an endless sequence of drawbacks which put the drivers to continuous tests to catch up. The series of extraordinary tasks began on Thursday, when an off during the qualifying session for Giorgio Sernagiotto put to the first and most challenging test the Treviso team, coordinated by Raimondo Amadio, which in record time and with the direct support of Dallara, refurbished the prototype which could take the start of the warm up and later of the 24 Hours, first among the Dallaras. During the long race, there were a rear tyre puncture, headlight problems and then power steering and throttle issues, all immediately solved in the stands. At dawn today another off-track with damage to the underfloor and suspension saw yet another prompt and precise reaction of the Cetilar Villorba Corse men, costing almost 1 hour and many positions. An effective and professional job which allowed the drivers to start another comeback, with good times which in the 23rd hour returned almost to the qualifying pace, lasting up to the coveted chequered flag, marking the completion of a an authentic feat, which saw the completion of 342 laps on the 13.6 Kms of the La Sarthe circuit, with 38 pit stops and the triumphal passage under the chequered flag reserved to Roberto Lacorte in 13th position of LMP2 and 22nd overall after 24 long hours of competition. -"I could not withhold the emotion - said Giorgio Sernagiotto - an extraordinary sensational race which gave us extraordinary emotions. To be at the finish is a great team result and it is to the team that I wish to dedicate this race"-. -"It has been a long and tiring adventure, the result is not what I was hoping for - are the words of Nasr - but this is not the important thing, I am happy to have done my first experience at Le Mans with this extraordinary team which has been able to solve all the problems we met. A bit of everything happened, but we did it and I learned a lot. This track gives a different energy"."-. -"Everyone gave 110% - says Team Principal Raimondo Amadio – A pity because repeating last year's result was within our reach in one of the most crowded and demanding editions. The chequered flag of a race like this has an unparalleled value difficult to express. It is an honour and a pride for Villorba Corse, for myself and for all my exceptional men to have undoubtedly characterized the 2018 edition!! "-.